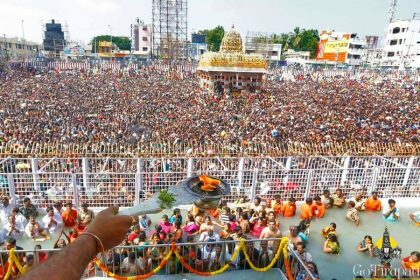 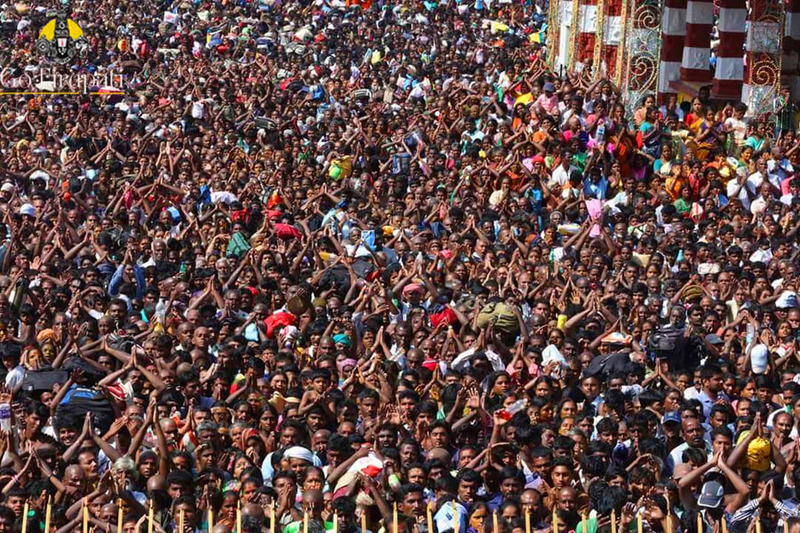 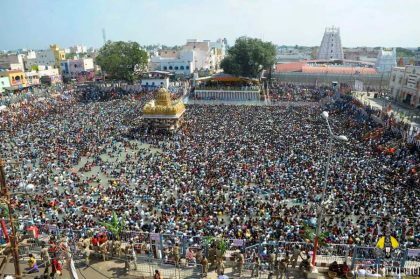 Tiruchanur, Nov 27: The serene waters of the spacious, clean and tidy Padmasarovaram-the temple tank in the abode of Goddess Padmavati, at Tiruchanoor turned into a sea of humanity on Thursday with lakhs of pilgrims hailing from across the country having holy bath on the occasion of Panchami Theertham. 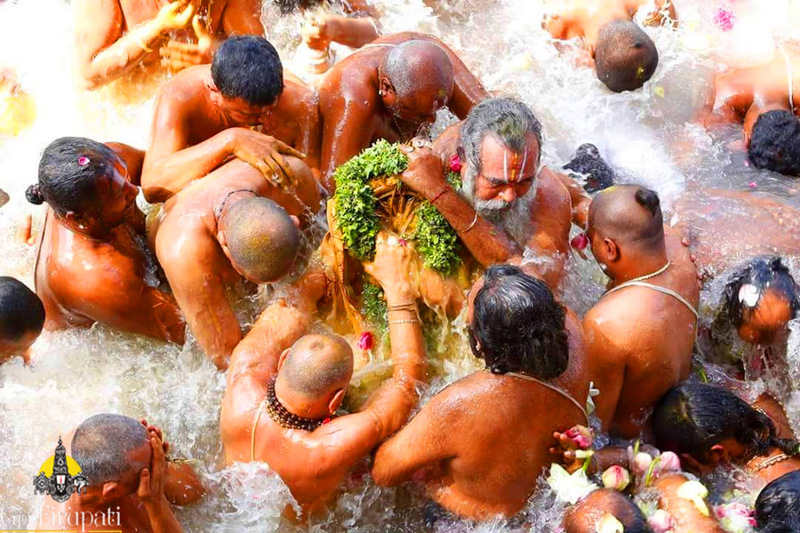 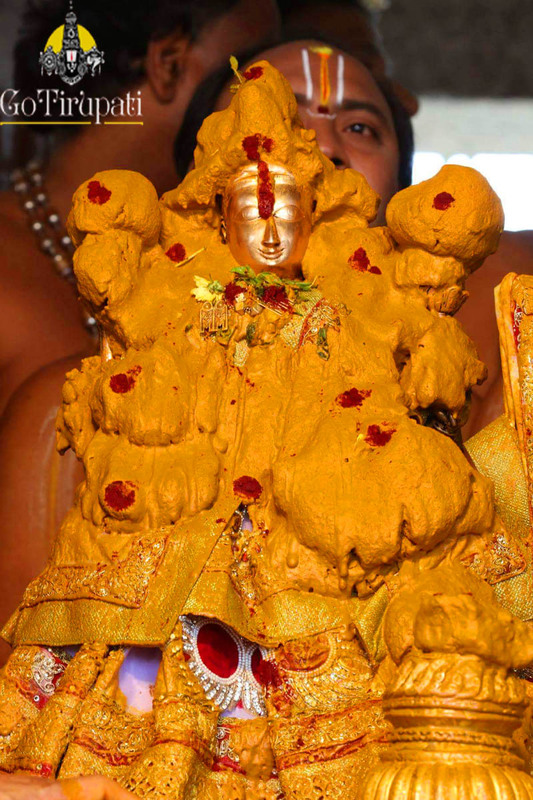 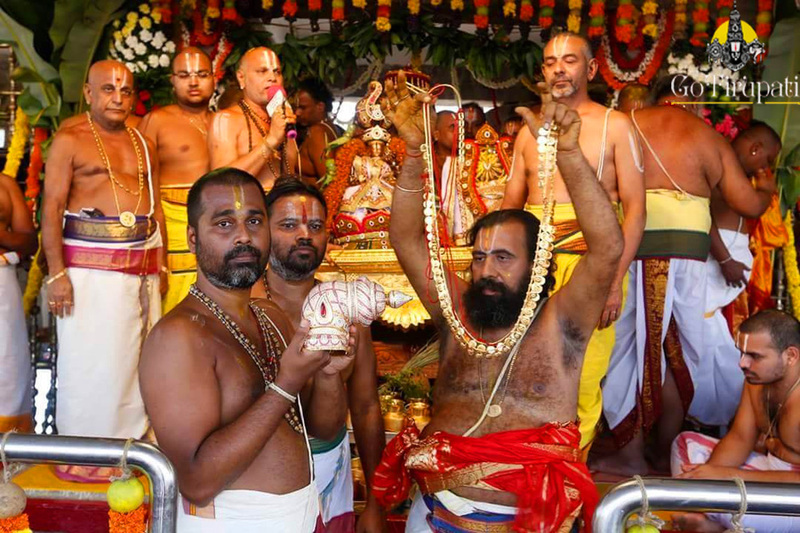 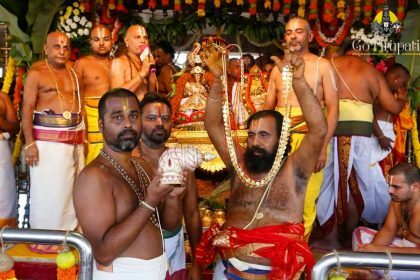 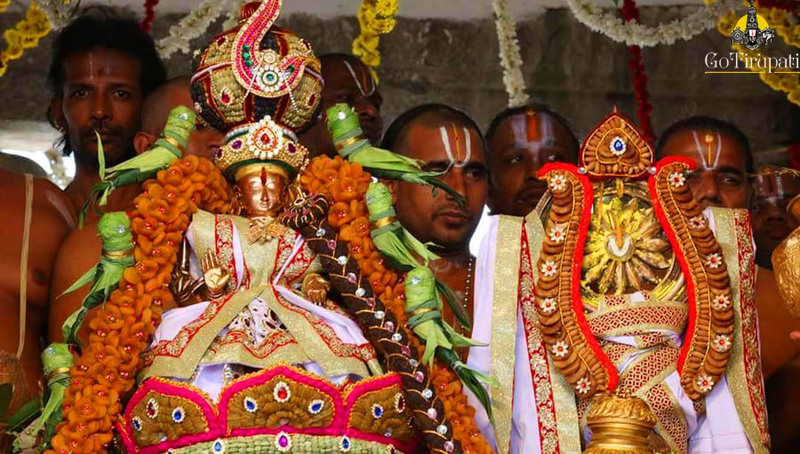 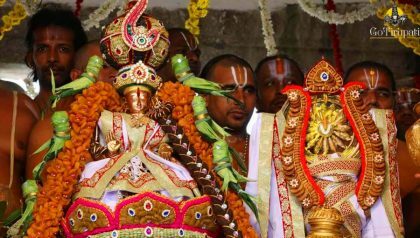 With this grand sacred bath ceremony, the nine-day annual Kartheeka Brahmotsavams of Goddess Padmavathi Devi, the presiding deity of Tiruchanoor came to an end. The religious occasion of Panchami Theertham marks the auspicious birthday and celebration of the manifestation of Sri Padmavati Devi in a Golden Lotus in Padma Sarovaram on Sukla Panchami of Kartheeka month. 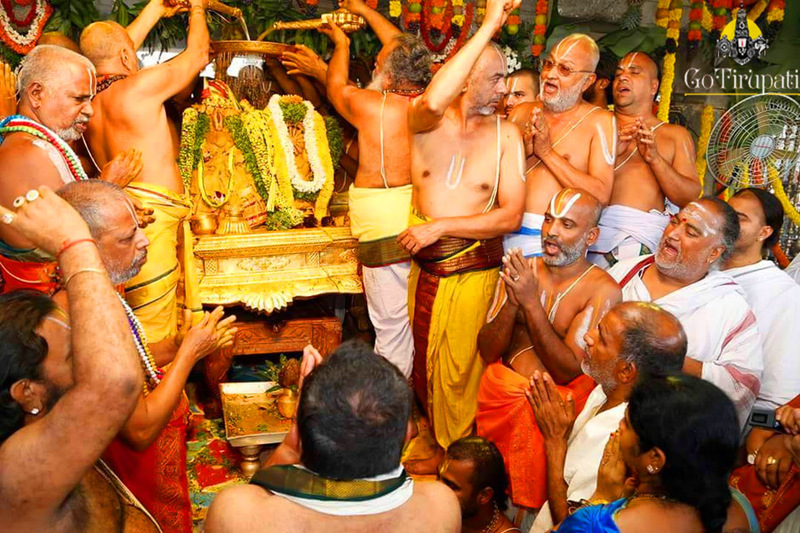 Snapana Tirumanjanam(celestial bath with milk, honey, turmeric, coconut water and turmeric) to Sri Sudarshana Chakrattalwar and the processional deity of Goddess Padmavathi has been performed in a colourful manner in the tastefully decorated mandapam facing Padma Sarovaram. 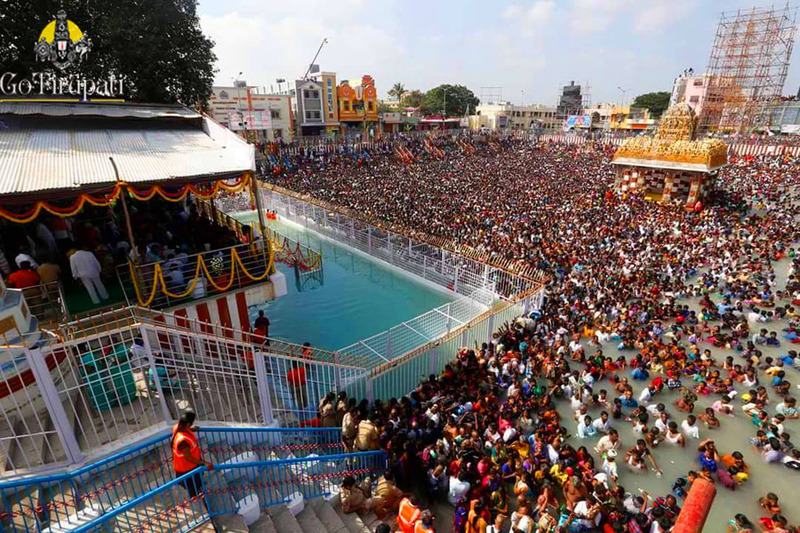 Pushkarini for a holy dip at around 11.45am. 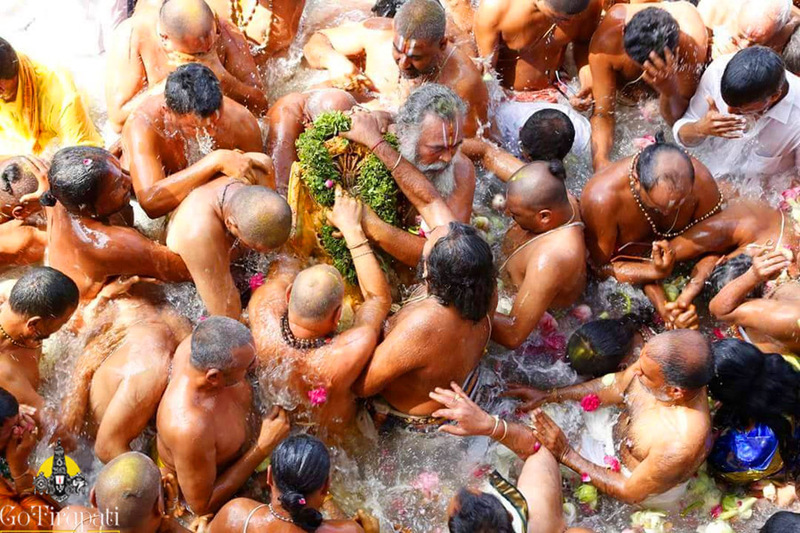 Thousands of devotees who have been waiting for this auspicious moment since morning took a holy dip in the temple tank along with Chakrathalvar even as the entire premises echoed with the chanting of divine Govinda Nama and Goddess Namas. 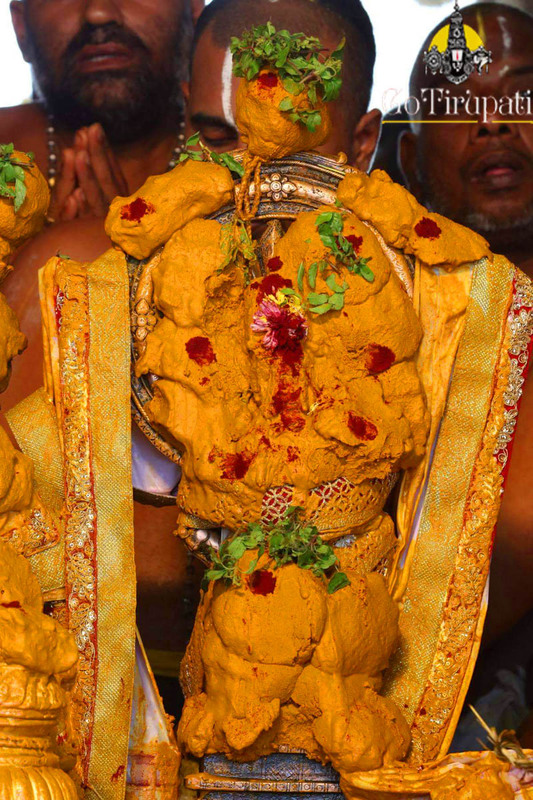 High School on the final day alone with Sambar rice, curd rice and chakkari pongali. 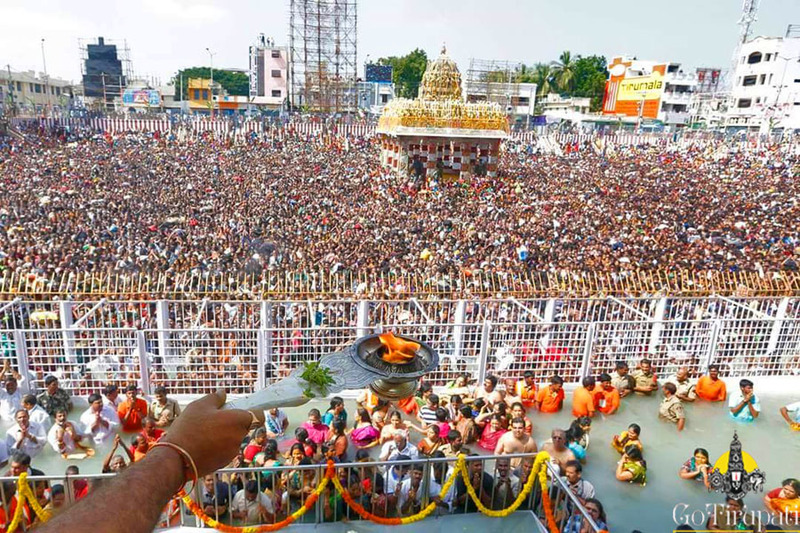 While over two lakhs people were served with Annaprasadams during all these nine days. The temple administration also made special arrangements of Medicare for the visiting pilgrims at its dispensaries in Tiruchanoor. 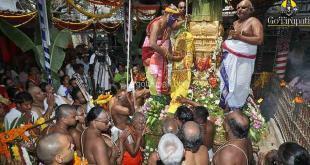 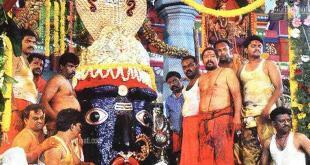 Over 20 pilgrims underwent medication and first aid during brahmotsavams. 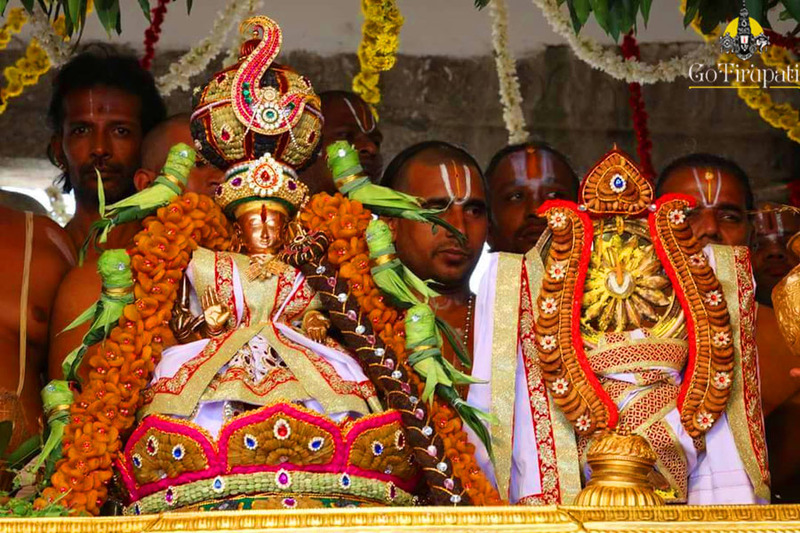 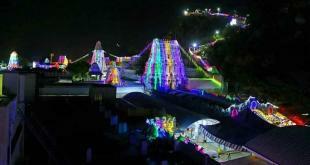 After the completion of the annual karthika brahmotsavams, the AP Governor Sri ESL Narasimhan and TTD EO Sri MG Gopal complimented the joint efforts of various departments of TTD under the supervision of Tirupati JEO Sri P Bhaskar in executing the event in an efficient way. 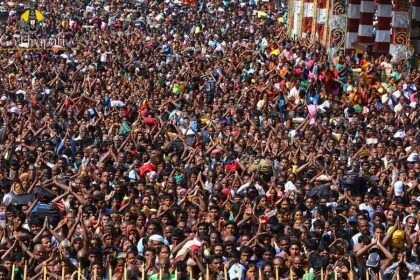 The EO also thanked the local public representatives, pilgrims for their co-operation towards the smooth conduct of the festival.